I have used a LOTV image from one of the art pads, still got a few of these to use even though they are now discontinued. 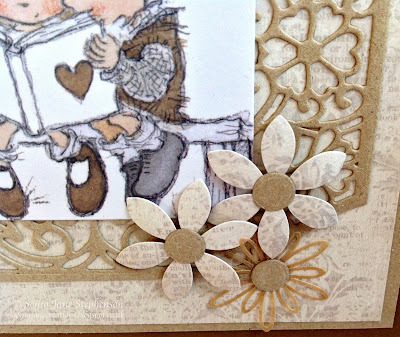 The main die is Auckland from Sue Wilson's New Zealand Collection. I just love the shape of this. 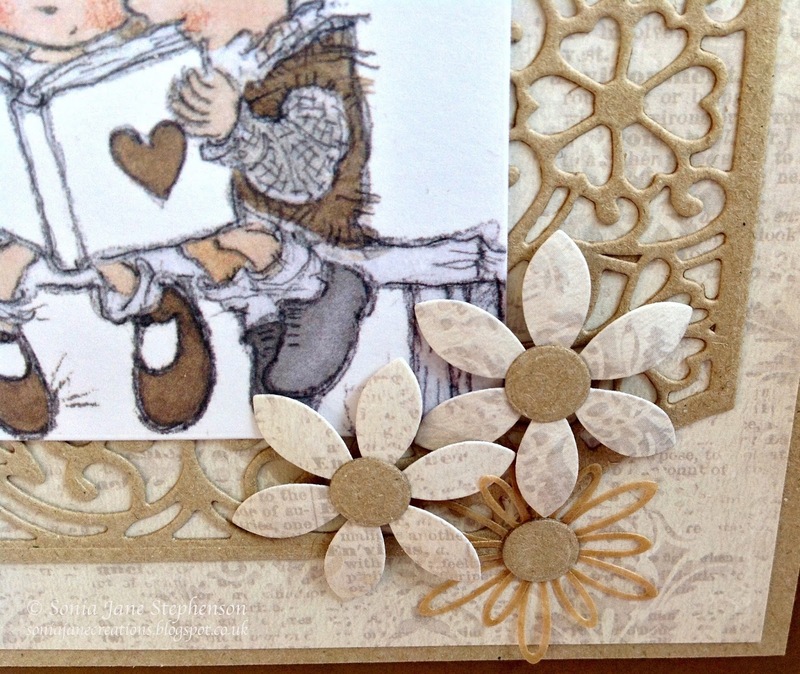 I have used two different types of flowers, firstly the Delicate Daisies - Open Petals, by Sue Wilson and secondly Floral Delight collection, Pretty Petals by Crafter's Companion. I think they work really well together. I finished off the centre of each flower with a small circle die cut. 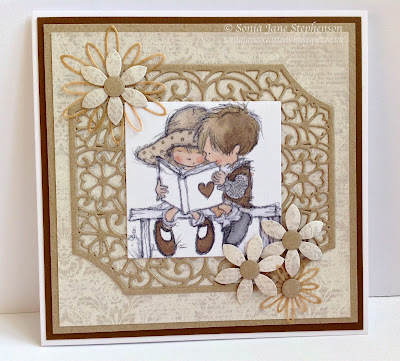 The patterned paper is from First Edition Paper called Gilded Winter. 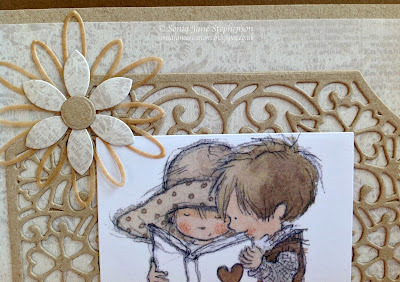 This is a lovely paper pad, full of gorgeous designs. I hope you like it. Thanks for stopping by. Hi Sonia,beautiful card, you can't go wrong with Lilli of the Valley images can you! How sweet that your dad treats your my. On mother's day! Really appreciate you visiting my blog.